​Maximum performance. 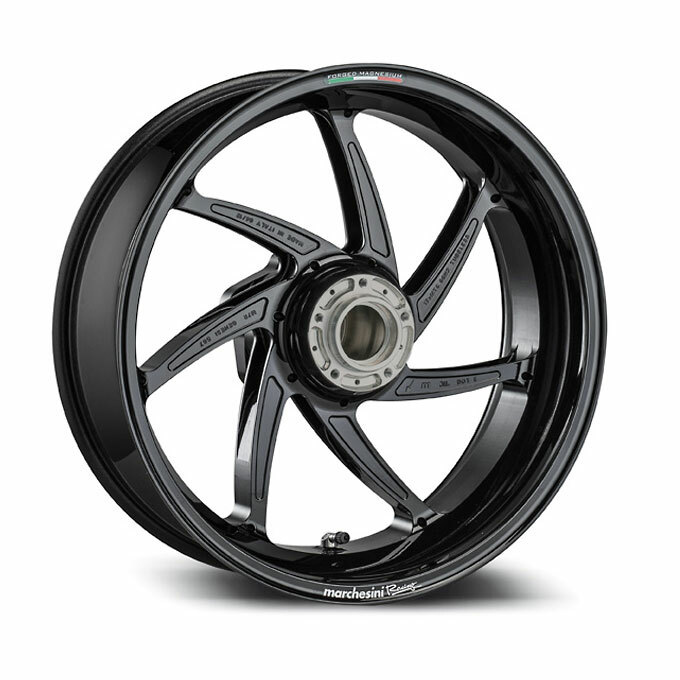 Conceived to be the highest performing wheel on a sports motorcycle, the M7RR Genesi - in forged magnesium alloy - has been designed to meet the needs of the top MotoGP and SBK teams. For Marchesini, 7 is a perfect number. 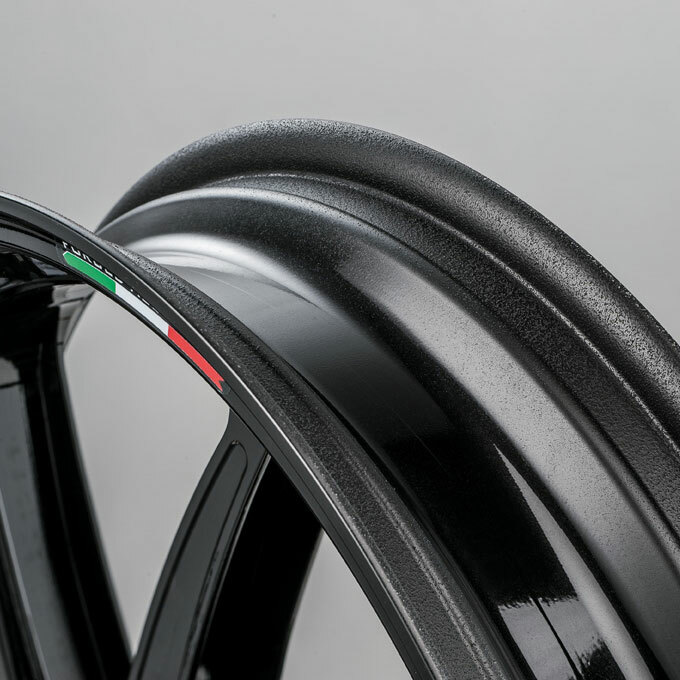 This is the number of spokes that give maximum rigidity to the hub-rim connection, an even distribution of radial load along the circumference of the rim and an overall lightweight structure. 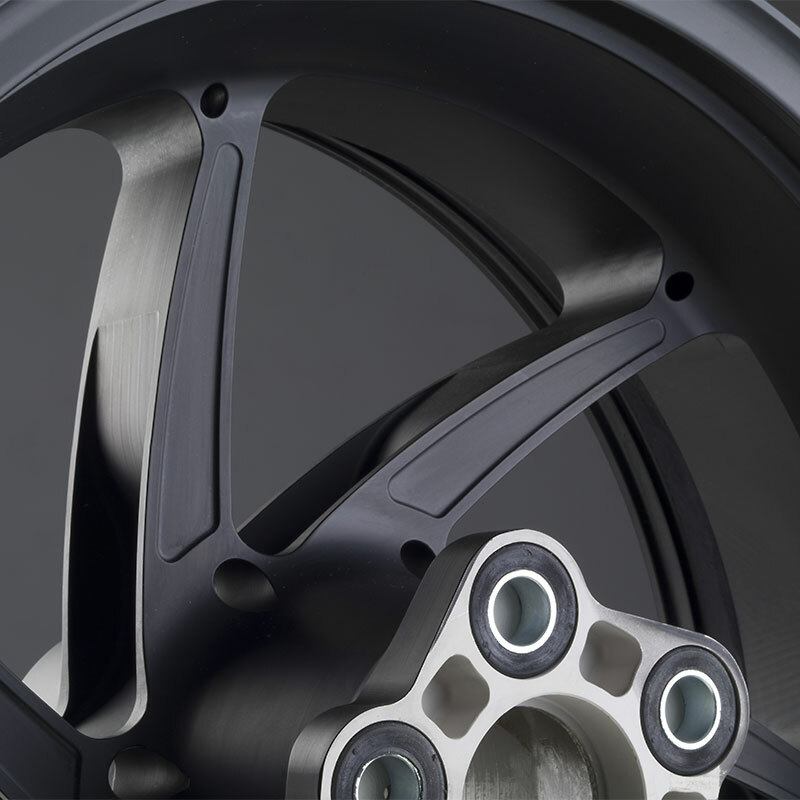 The two fitted wheels weigh approximately 7.7 kg. The section and shape of the spokes have been designed to optimise rigidity, duration, reliability, inertia reduction and aerodynamic efficiency of the wheel when used on the race track, due to FEM (Finite Element Method) calculated design work, CFD (Computational Fluid Dynamics) analysis and fatigue analysis methods. 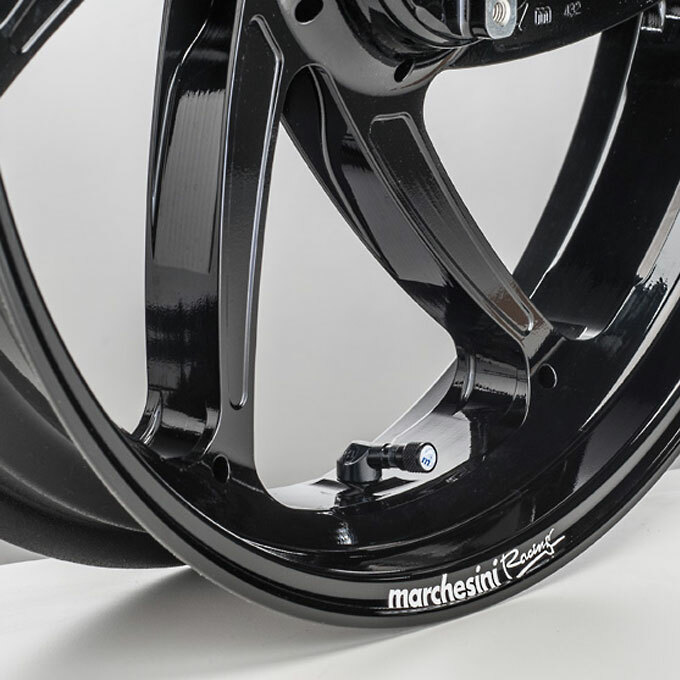 With the M7RR Genesi, Marchesini has broken new ground with significantly higher acceleration, shorter braking distances and faster handling into and out of bends.